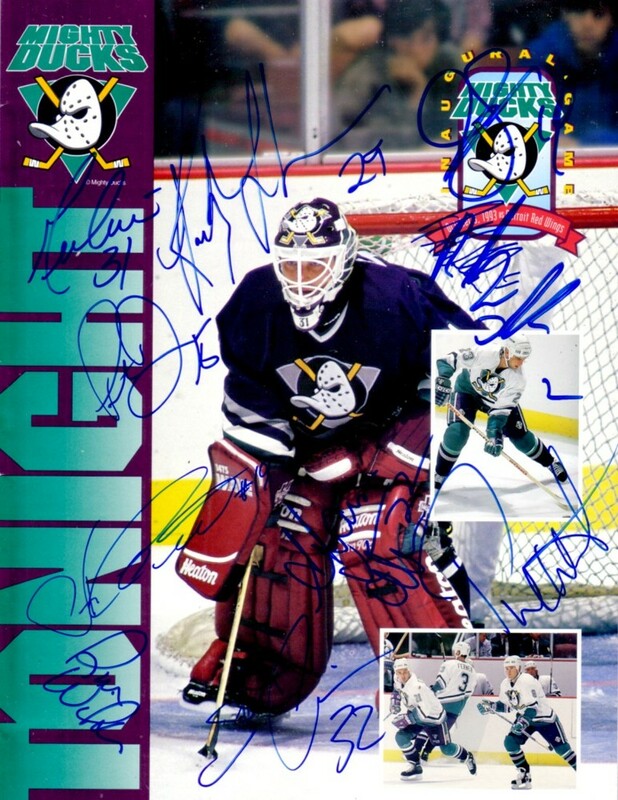 Complete 1993 Anaheim Mighty Ducks Inaugural Game program autographed on the cover in blue marker by head coach Ron Wilson plus Shaun Van Allen, Patrick Carnback, Peter Douris, Anatoli Semenov, Joe Sacco, Bobby Dollas, David Williams, Randy Ladouceur, Stu Grimson and Guy Hebert. 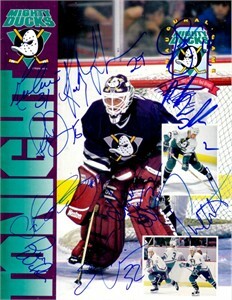 (Dollas signed on top of Williams for some reason but they are both still clearly legible). Excellent condition. Obtained in person. With certificate of authenticity from AutographsForSale.com. ONLY ONE AVAILABLE FOR SALE.